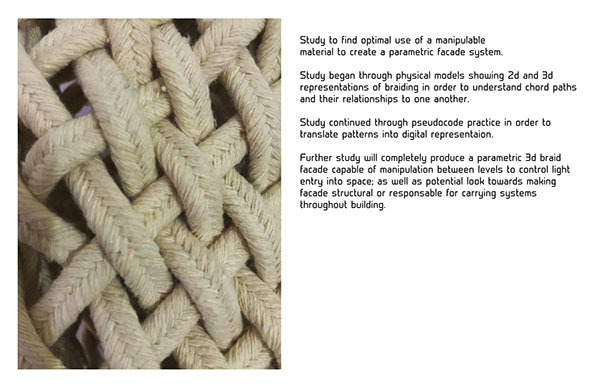 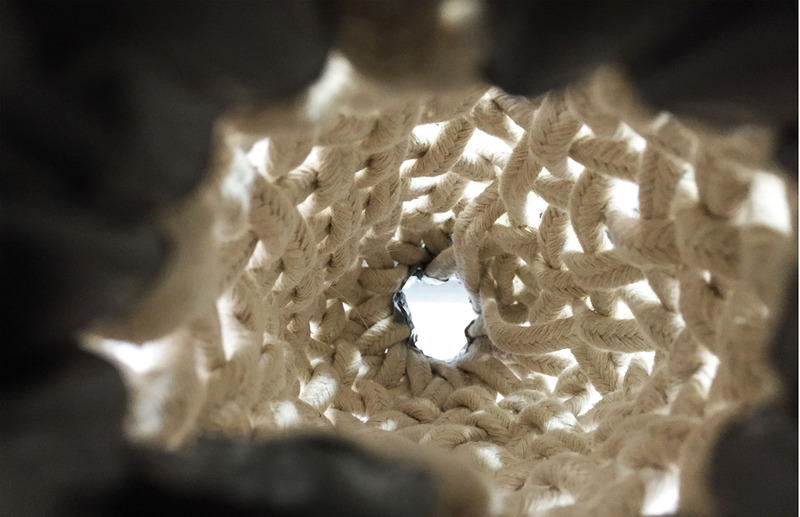 Study to find optimal use of a manipulable material to create a parametric braided volume. 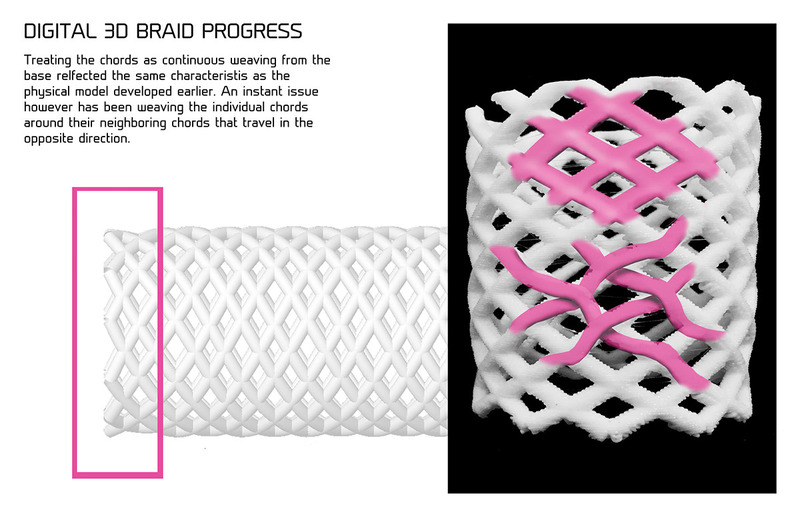 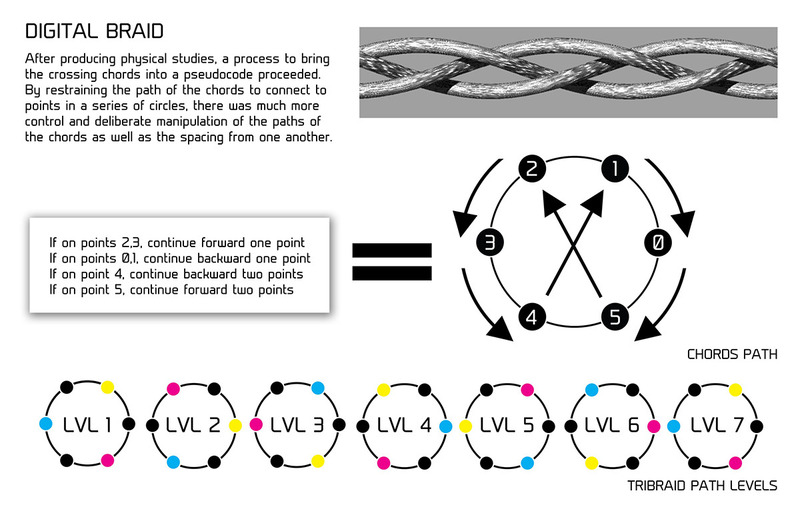 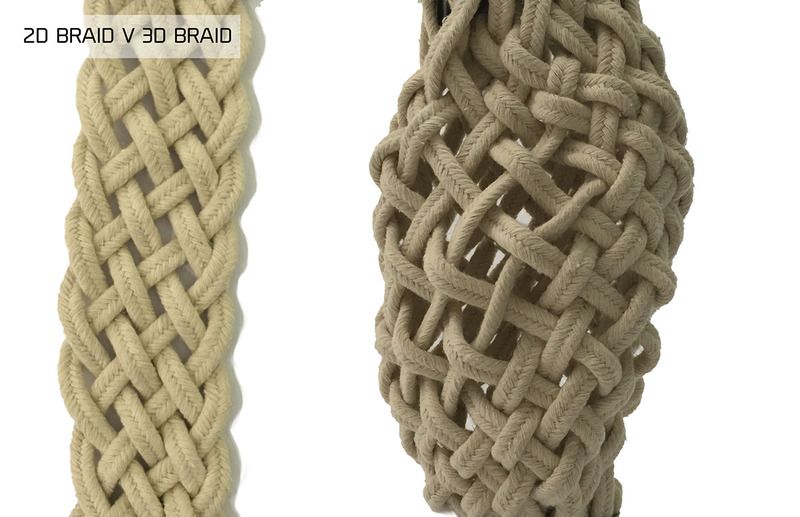 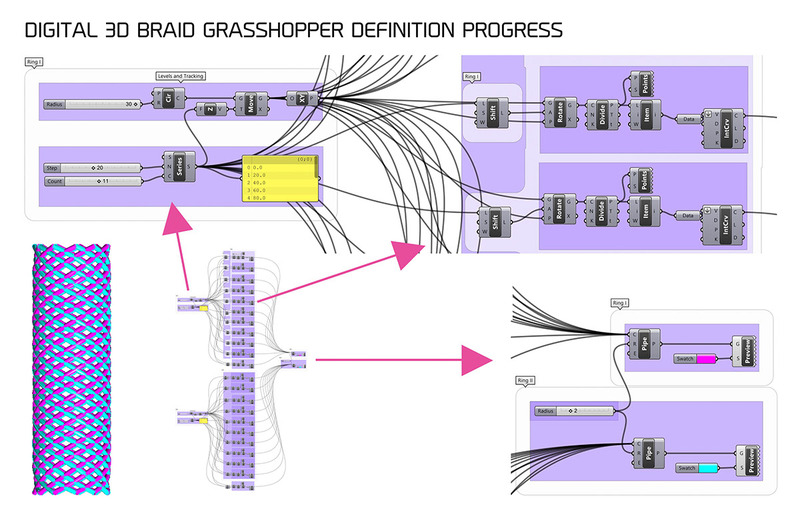 Study began through physical models showing 2d and 3d representations of braiding in order to understand chord paths and their relationships to one another. 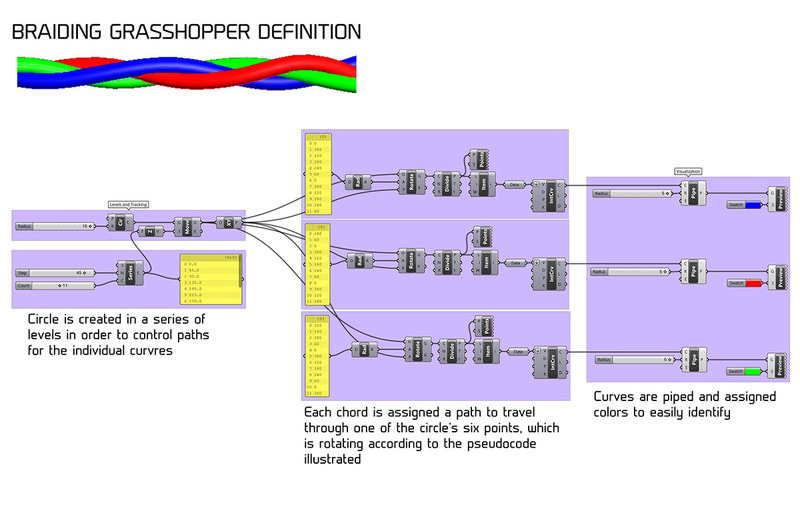 Study continued through pseudocode practice in order to translate patterns into digital representation.